Best for: Questions involving spirits, this is a very spirit oriented deck. This is also a great deck for people who love folklore and supernatural or the macabre. Acquired from and date: 2015. A gift from the lovely from The Lantern Collective. My eternal thanks. This is a lovely yet complicated deck. This isn’t really the kind of deck that you can simply pick up and use. You’ll need to study it. You’ll need to research it. You’ll need to keep the Little White Book handy. And you’ll probably need to break out a magnifying glass. But it is a lovely deck that can give some truly deep answers – if you’re willing to deal with the various voices that come from it. It’s also a varied deck. It has lots of cards with soft, pastel colors and yet somber cards with dark blues, greens, or browns. The yellow-cream border is thin but frames the movement in the cards nicely. The detailed cards has so many lovely colors and that might suggest a gentle tone but in reality, the subject matter and cards themselves are somewhat macabre. This isn’t a deck cobbled together of Casper the Friendly Ghost but pulls stories from mythology, folklore, and even literature. There’s a lot going on in all these cards. The art is gorgeous, heavily detailed and yet simplistic in a way. The cards’ imagery isn’t as complicated as they might seem at first glance. This is largely because the art style has a lot of movement in it. It all looks very windswept or as if you’re looking through a veil. That’s likely on purpose, by the way, but it also comes across as the artist’s style. So breaking out the magnifying glass may be necessary for some cards but you probably won’t miss an important detail if you don’t. Which is good because there’s so much more you need to be keeping an eye on in this deck. Each card in the deck tells a different story. The Tower card speaks of the Fall of the House of Usher. The Chariot is the Wild Hunt. The Magician is a Psychopomp. The High Priestess is the Sibyl / Enchantress. The Lovers is the Spectral Bridegroom and the Emperor is the Hawaiian Mo-o (Dragon Ghost-Gods). The featured ghosts and spirits are wildly varied. But this also works against the deck because without the Little White Book, you have absolutely no idea what story is being indicated. And if you’re not well-read on all the spirits, you may not understand what nuances are being shared within the card-story combination. I almost think this may have been better as an oracle deck simply because it would be easier to related to rather than trying to figure out if you should read the cards based on the entities selected, the cards themselves, or some combination thereof. I’m very excited by a deck that has lots of POC or varied content like this. But I think a lot of the POC get washed out in this deck mostly because the color palette or motion within the cards. The figures within these cards often appear small compared to the complex, dreamy backgrounds so if you’re not paying attention, you may miss that the Knight of Wands actually features the Hawaiian demigod hero Hiku. Again, I cannot believe this is not intentional as most of the cards have a lot going on but it’s worth mentioning. There is one card change and that’s to the Devil card. It’s now the Chains card as represented by Jacob Marley from A Christmas Carol. I’m kind of on the fence about this change because while I love the idea of the Devil as Chains but while Ebenezer Scrooge has the ‘ lots of obsession and addiction until destruction’ theme in spades, Jacob Marley is, ultimately, the catalyst to save Scrooge. The Devil card doesn’t actually promise this. The Devil card can serve as a wake up call but I don’t typically see it used this way? Maybe that’s just me but I think it highlights a major concern for this deck: do the stories actually fit the cards? Yes, they do but they do it in a way that you might not use the cards as. The subjects of the cards were chosen to represent a specific feature of the cards. Likewise, the spirits and stories are also seen from a specific point of view. Not all the stories are all-encompassing and I believe there are nuances that can be derived from knowing the folklore and stories behind each spirit or subject of the cards. Essentially, you can derive a LOT of meaning just from the card subject as much as you can the card itself. It really depends on how you connect to the cards. This deck would hugely benefit from a guidebook. The Little White Book doesn’t go into why the author chose each spirit for the cards. You can only try and guess to which story was selected. 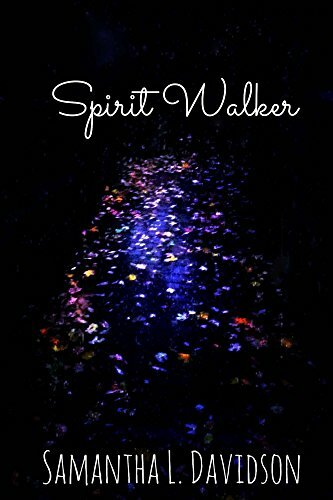 I have no idea how well Lisa Hunt understands each of the featured stories so how deeply do you look when it comes to the ghosts and spirits’ stories? How far down that rabbit hole do you need to go? I find myself assigning my own spirit or associations to some of the cards and adding another layer of nuance to work with that’s easier for me to understand or works better with the card selected. Another quirk of this deck is the lettering. The deck as a fluid script for titling the cards and I almost find it distracting. I’m not super fond of fluid script fonts anyway – I find them sometimes hard to concentrate on or read – so this may be my bias acting up but I also cannot see what other font could be used. I think maybe no lettering at all and working out some other means to tell the cards from one another would be easier. Again this would be easier to do if the deck was an oracle rather than a tarot. Or, maybe it’s the yellow of the border that throws it off. I almost think that it would be better white? Nit picky, sure, but it’s one of the things that stands out to me. A third quirk is the deck back. It’s simplistic compared to the rest of the deck. Three ghosts in a circle. It’s almost odd and quirky compared to the deck. Luckily, the deck back is reversible so that’s a point in its favor. It has a wide amount of voices. What I mean is that some decks have a unified voice. They all speak together and send a singular message but instead, this deck is like listening to a crowded room. There’s a lot to hear and some days seem “louder” than others to me. This isn’t necessarily a bad thing but something to keep in mind. Aside from the above, the deck works well. It shuffles as well as any US Games deck. I find the card stock on the thin side but it still feels sturdy. It has held up well over the years I’ve owned it. Sheen and size compare to all other US Games decks – the size is good for shuffling and still keeping that classic tarot shape and the sheen will wear down over time and use. Not a bad thing at all. The box it came in is your average thin cardboard box for cards. I believe mine became unglued soon after receiving it so I just ended up crocheting a deck bag for it. As said, the Little White Book is a fairly standard LWB but do not throw it away! It is your ONLY guide to what stories or spirits are featured in the cards. In fact, I wrote the stories and spirits down in my tarot journal just because I feared losing it. I took photos too and saved them in a cloud. You can probably get a replacement copy of the LWB online but I sometimes find it difficult to narrow down the stories or spirits represented by the images alone. I don’t really think this is a great deck for beginners or people who use their cards on the go. There’s just too much deviation to be a standard RWS deck for most beginners to get a handle on. That’s not a bad thing but if you’re trying to use memorized keywords for your readings, you may find that you’ll struggle. There’s also a lot of detail so some folks who have trouble with decks like Fairy Lights or Shadowscapes may struggle here too. Overall, do I like this deck? Yes. I like it quite a bit and I regularly use it for spirit based questions. I feel that in order to really get this deck, I’d have to devote some serious time to researching the stories and spirits included in the deck and meditate with each card. Some decks require this kind of time and others don’t. I don’t mind that. I would definitely buy it again.